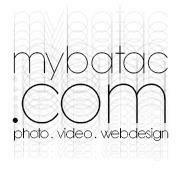 Hi my name is Jeremiah, CEO Founder of #mybatac and I would like to thank you for visiting our website. We are excited and looking forward to work with you on your upcoming event. I'm sure you've been looking around for the right team to cover photography or videography. Our work is been published in wedding magazines, feel free to check our most recent work. Now, Let me tell you what makes unique. Above statement is what separates us from other photographers and videographers out there. This is definitely not work for us. We love to be a part of your special day. Remember, after all the fun and festivities the only thing that is left are the photos/ videos, make sure you get the right team for the job. You don't want to be that person who regrets short changing the photo/ video budget. You cannot rewind, so as the saying goes, Get it right the first time! After you read our quick intro and still unsure please do not hesitate to call me @ 3013267376 and I will address all your questions or concerns. Thank you for visiting us again!